Today we are happy to have our guest blogger Madiha Bashir all the way from the UK and she blogs over at Me VS Te Odds. Today we are talking blog traffic once again. This time we are focusing on Twitter. 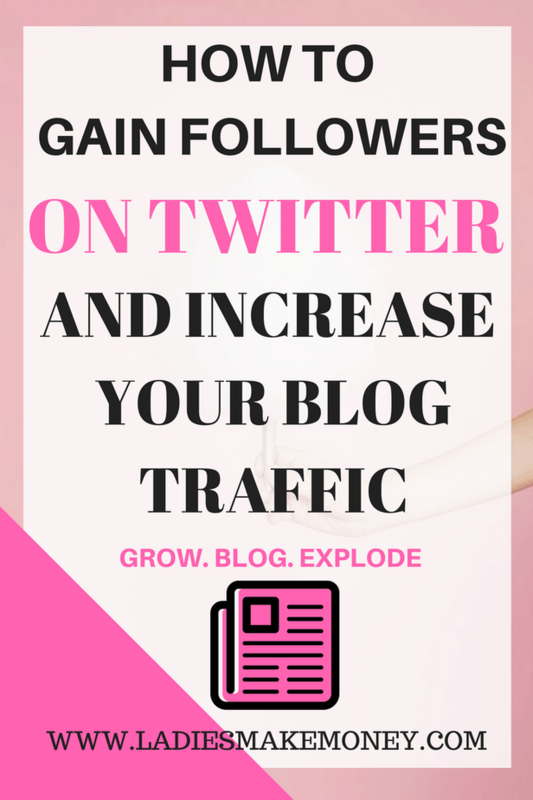 Do you want to learn how to gain followers on twitter and use it to build traffic? Before we get started, we would love for you to join our growing Facebook group right here! You can also join our Pinterest group by scrolling to the bottom of this page! If you are looking for guest blogging opportunities or if you need a personal affordable coach to take you from A-Z, we can help you. Get all the juicy details right here! We also wanted to take the opportunity to let you know that we use Affiliate links on some of our blog posts. This mean that we could make a commission if you click on an affiliate link and purchase something. We all know social media is super important to growing your blog, bringing in traffic and keeping in touch with your followers. In this post, I am going to explain exactly how to do that! Speaking of twitter, I’d love to connect. Give me a follow over at Me Vs the Odds! Now, let’s get down to business shall we? How to gain followers on twitter and use it to build traffic, a great question among many bloggers. Twitter is by far one of the most used social media platforms. My favorite out of all the ones I currently use. The reason for this is that you can give your opinion on whatever you want, rant about how your day went, connect with your readers, and of course, it is the home of memes! Gotta love memes. 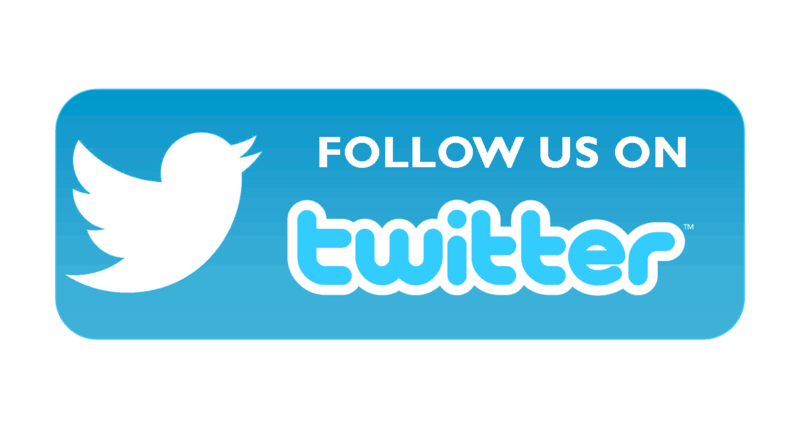 Twitter is one platform where a large following and interaction with followers will do wonders to your blog statistics. The more followers, the more people see your tweets, the more likely they will either open up a post you’ve promoted or your website linked in your bio. Ways I increase my following on twitter are many and I’m going to let you in on how to increase your following too! First things first, link your twitter to your blog, and all other social networks. Cross networking will allow readers to find you on the platforms they use the most and find most useful. Make your bio attractive. Do not leave it blank!!! Upload a profile picture!!! Link your website or optin link.!! These may be simple but so many bloggers forget about these and lose out on potential readers. Next, always, and I mean, ALWAYS promote your new posts on twitter. Use phrases that are likely to catch a readers attention. Such as ‘Thinking of going self hosted but don’t know where to start? Read my easy peasy guide on how and why you should make the plunge” and remember to LINK! Use a shorter URL form to save on characters, such as http://wp.me/p902Xy-5p . Tweet the same link more than once, using different tweets. But not in a row, don’t keep tweeting the same thing again and again, don’t be that annoying person desperate for views. Even if you are, don’t show it. Similar to using facebook groups to optimize traffic to your blog (I also did a post on this which I have gotten great feedback on! ), there are also twitter chats. These happen at different times on different days, and also vary due to different time zones. That’s a whole load of different there, but it gets easy to keep on top of when you get used to it. Chats include #BlogHour, #BBloggers, #lbloggers, #Blogtacular, #GRLPWR, #TuesdayBlogItand #BookBloggers . There are many more out there too! Why should I bother participating in chats? Well, there are many, many perks. You connect with likeminded people, can turn to someone when you need advice, grow your followers and have a laugh! People you chat with may follow you, especially if you follow them too because you liked what they had to say. This leads to potential viewers or readers for your website! Be active! Do not only use twitter to tweet when you’ve uploaded new blog content. Use it frequently. Tweet about your morning. Tweet about how long a certain post is taking. Tweet about the weather. Tweet about a recent event. TWEET! Tweeting often will keep you relevant, use hashtags, tweet about what’s trending. The more active you are, the more followers you will have. Also, remember to interact with others! Not just during twitter chats but regularly. Found a tweet funny? Reply with the laughing emoji. Found a tweet relevant? Retweet it. Someone tweeted something about needing help? If you can be of assistance, send them a direct message and be kind. Especially with people on twitter with a large following, if they like/retweet your response, then it may show up on their followers timelines which may mean more viewers for you. Also, this is a very important point: If someone shared your post, or RTs your post, thank them! Friendliness and being polite is extremely important! Now, this next one is down to preference. But, stay more active when your followers are online. They are more likely to see and react if they’re online than when they’re asleep and see it the next day. So, for example, If you’re from the United Kingdom but most of your followers/readers are from the United States, tweeting at 10am is no good since the most of your readers are currently fast asleep in bed (it would be 5am in the states). 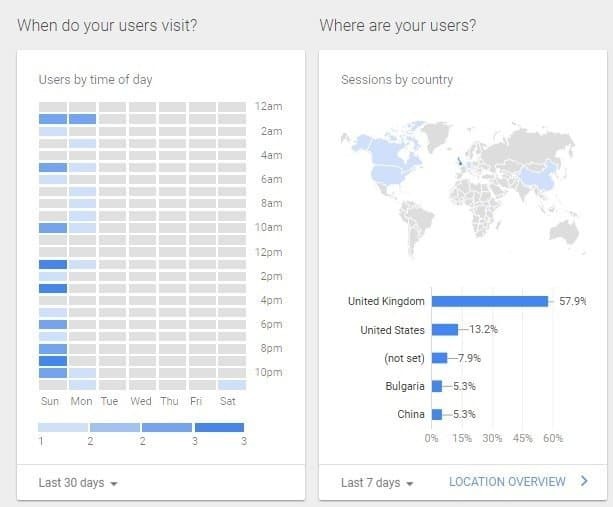 If you don’t know where most of your followers are from, you can find this out by checking your Google Analytics. Knowing your audience will help you loads! If you’re a beauty blogger, talking about shares and turnover isn’t the best idea. If you are interested and want to tweet about it, then go ahead. But remember, tweeting about what you blog about, staying around your niche and what your audience wants will improve engagement. Don’t just tweet plain text every single time. Use gifs. Use images. Use links. Create polls. Keep your followers on their feet. Do not be boring. Visual tweets are more eye catching and user friendly than plain texts. Also, remember, memes are at the heart of twitter. Use them where you can to your advantage. You can see an example of this here. Try and keep tweets short and simple too. No one likes long boring tweets. Instant unfollow. An active social media is really important, sponsors, companies and some affiliate programs look at this to determine whether they want you promote them. So get cracking and start tweeting. I hope this helps some of you. I apologies for it being super long. 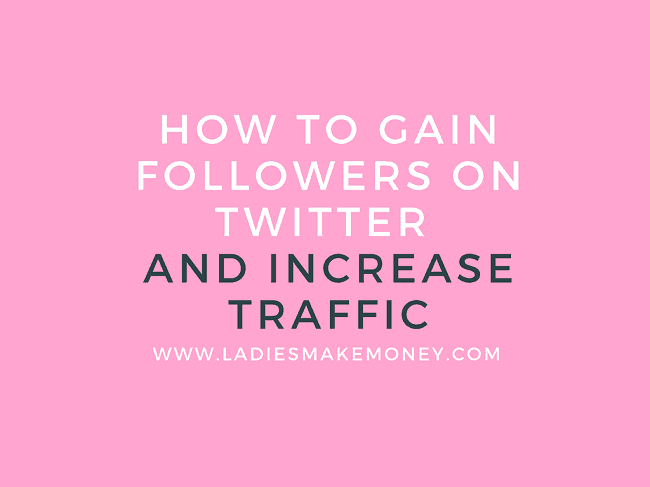 Now that you know how gain followers on twitter and use it to build traffic we hope you succeed. Be sure to follow us on Tweeter- Babes Making Cash.